We’ve got two games against the P-Bruins, so we may as well learn something about them. Here are some nice notes that d.E. sent over–he’s been thinking about hockey whilst the Phantoms are trying to see how fast the Zamboni’s will go. What is this you say, the Lehigh Valley Phantoms will definitely be without no fewer than five regular players (Colin McDonald, Danick Martel, Cole Bardreau, Michael Parks and Robert Hagg) going into this weekend? Well, I would be inclined to reply that the American Hockey League farm club of the Philadelphia Flyers could probably do with a game (or two) against an opponent who is also dealing with manpower issues of its own right about now, then. Looking at the schedule, lo and behold, it would appear as if the struggling Providence Bruins, whom Lehigh Valley will skate with next in a home-and-home series back to back on Friday and Saturday nights, respectively, could very well be just exactly what the Phantoms’ good doctor ordered. To begin with, the P-Bruins’ AHL roster was directly affected by developments which unfolded during the Boston Bruins’ NHL training camp this September. Injuries to a pair of established stars, Zdeno Chara and Dennis Seidenberg, meant that a corresponding pair of youngsters, Colin Miller and Joe Morrow, wound up making Boston’s NHL roster to start this new 2015/16 campaign. Miller, the 5th round pick of the Los Angeles Kings at the 2010 NHL Draft who happened to enjoy great success last season (70 ga, 19 go, 51 pts, 82 pen, + 11 def) as a member of the AHL’s Calder Cup champion Manchester Monarchs, was expected to be the P-Bruins’ chief offensive threat on the blueline and Morrow, the 1st round pick of the Boston Bruins at the 2011 NHL Draft, had been expected to return to the minors for more season while serving as the anchor at the back for Boston’s AHL farm club. Meanwhile, coming out of training camp, the Boston Bruins organization apparently felt so confident about the P-Bruins’ goaltending situation that dependable veteran shot-stopper Jeremy Smith (39 ga, 2.05 avg, .933 svpct for Providence last term) was sent out on loan to the Iowa Wild of the AHL’s Western Conference. But then highly touted netminder Malcolm Subban, the 1st round pick of the Boston Bruins at the 2012 NHL Draft who has posted standout numbers at the AHL level (68 ga, 2.38 avg, .921 svpct) in his first two seasons as a professional, was sidelined with a lower body injury before the P-Bruins’ season got underway and the younger brother of the Montreal Canadiens’ star defenseman has not been seen since. Without Subban (6’2″ 205 lbs), the net result has been that Providence, winners in just one of their five AHL games thus far, have been going with two rookie netminders who both were playing U.S. college hockey at this point in time last year. Furthermore, after a strong performance (38 saves) in a 2-1 overtime loss to the visiting Wilkes-Barre Scranton Penguins on Opening Night, well regarded prospect Zane McIntyre, the 6th round pick of the Boston Bruins at the 2010 NHL Draft who won the Mike Richter Award as the best collegiate goaltender while backstopping the always strong University of North Dakota to yet another appearance in the NCAA’s annual Frozen Four tournament last season, has seemingly lost his form. After allowing the Bridgeport Sound Tigers five goals on just seventeen shots in his fourth career AHL start, the 23-year-old McIntyre (4 ga, 3.72 avg, .873 svpct) was benched in favor of fellow rookie Matt Ginn, the undrafted 24-year-old from the College of the Holy Cross. The undersized Ginn (5’11” 176 lbs) is nowhere near as big as McIntyre (6’2″ 205 lbs) but did stop 19 of 21 shots in the rematch with the Sound Tigers (which Bridgeport won 3-1) before being lifted for an extra attacker. As far as injuries are concerned, the unlucky Providence Bruins saw yet another forward go on the long-term list earlier this week after Ben Sexton (35 ga, 3 go, 12 pts, 57 pen, + 6 def for the P-Bruins in the AHL last season) underwent hand surgery that is expected to keep the 24-year-old center out of Clarkson University on the shelf until at least the end of November. Of course, Cassidy’s club have been without dangerous right wing Seth Griffith (39 ga, 12 go, 31 pts, 12 pen, – 1 def for Providence last season), the 22-year-old who skated in 30 NHL games (6 go, 10 pts, 6 pen, – 2 def) for the Boston Bruins last term, the entire time this fall. Griffith sprained his MCL after colliding with New Jersey Devils’ two-time Finland Olympic left winger Tuomo Ruutu during an NHL pre-season contest on September 20th. Also, promising right wing Brian Ferlin (6’2″ 210 lbs), the 23-year-old out of Cornell University who was the 4th round pick of the Boston Bruins at the 2011 NHL Draft, has missed the last P-Bruins last four games suffering from post-concussion symptons. Ferlin (53 ga, 11 go, 20 pts, 40 pen, – 9 def for Providence in the AHL last season) appeared in seven NHL games for the Boston Bruins (0 go, 1 as, 0 pen, 0 def) as a rookie professional last term. During his collegiate career, Ferlin happened to be teammates with injured Lehigh Valley Phantoms center Cole Bardreau. Colton Hargrove (6’2″ 215 lbs), the rugged 23-year-old rookie left wing from Western Michigan University who was the 7th round pick of the Boston Bruins at the 2012 NHL Draft, has missed the P-Bruins’ last three games with a lower body injury and his status remains unclear. The one player whose health at present is of great concern to the Providence Bruins would be diminutive center Austin Czarnik (5’9″ 160 lbs), the 22-year-old undrafted rookie from Miami University in Ohio who has been one of the P-Bruins’ real bright spots thus far this fall. Czarnik, who is currently third in scoring for Providence with five points (one goal), sat out the team’s last game against Bridgeport this Saturday night after getting freight-trained by Sound Tigers right wing Mike Halmo the previous evening. Altogether, the Providence Bruins have suited up no fewer than 24 different skaters for the team’s first five AHL games this fall. To review, hockey teams are allowed to dress no more than 18 skaters and two goaltenders in any given contest. It is interesting to note that during the week the P-Bruins did not recall any players from the Atlanta Gladiators, the East Coast Hockey League affiliate; additionally, Providence also received a boost on Thursday (Oct 20th) when the Boston Bruins returned defenseman Tommy Cross (6’3″ 210 lbs), the 25-year-old local product out of Boston College who was the 2nd round pick of the Bs at the 2007 NHL Draft, to their AHL farm club. Looking at how the two teams match up, the P-Bruins have no less than eight first-year professionals at forward on their AHL roster at present and so the plentiful professional experience — NHL included — of Phantoms defensemen Andrew MacDonald, Matt Lashoff (the 1st round pick of the Boston Bruins at the 2005 NHL Draft who spent parts of four seasons with the P-Bruins) and Davis Drewiske could serve Lehigh Valley rather well. Getting back to good doctors, a responsible physician might strongly advise the Lehigh Valley Phantoms to refrain from making any unnecessary trips to the penalty box during their two-game set with the Providence Bruins this weekend. Thanks mainly to the scoring exploits of left wing Frank Vatrano (5 ga, 7 go, 8 pts, 0 pen, -1 def) the 21-year-old undrafted rookie from the University of Massachusetts – Amherst, as well as his new linemate, Alexander Khokhlachev (5 ga, 2 go, 7 pts, 0 pen, – 2 def), the 21-year-old Russian import who was the 2nd round pick of the Boston Bruins at the 2011 NHL Draft, the P-Bruins have been extremely potent on the power play (8 for 22, 36.36%) to start this new season. 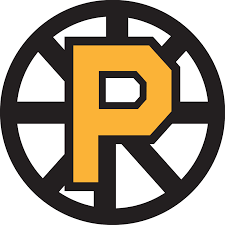 However, Providence have scored a total of just 15 goals in their five AHL games thus far — in other words, the somewhat punchless P-Bruins have managed just seven even-strength goals in more than 300 minutes of hockey this fall. The top line combination of Vatrano – Czarnik – Khokhlachev has accounted for ten of the P-Bruins fifteen goals (66.67%) this term and so the defensive mission of the Lehigh Valley Phantoms should be rather clear. So I’ll be checking in on AHL-Live tonight, and we’ll look forward to some live hockey tomorrow! Look for a massive “hockey night” game-day post tomorrow morning!